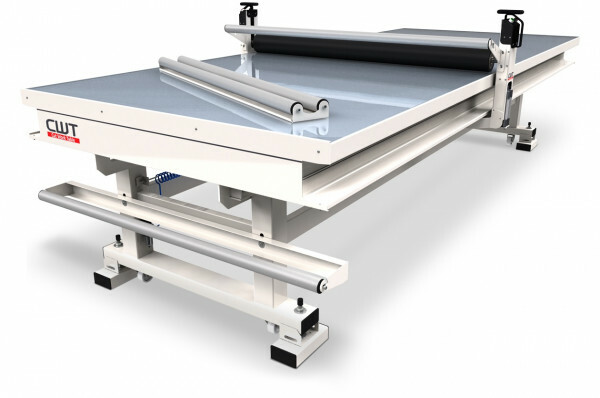 Graphic-application tables are an essential piece of equipment for anyone who has to apply graphics to any given flat substrate. 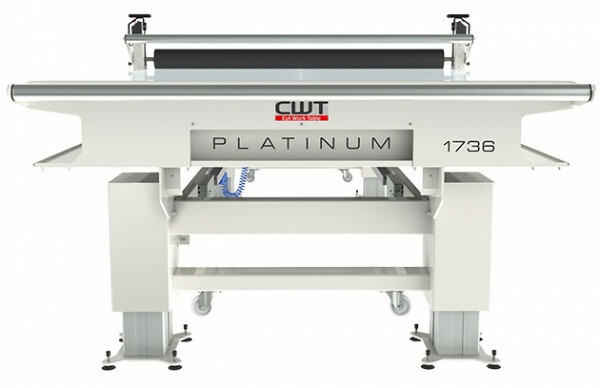 They allow the precision application of the graphics with ease and speed and are the perfect companion to laminating equipment. 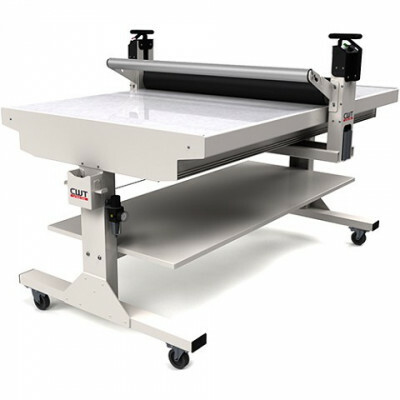 Papergraphics explored various types of graphics-application tables and finally chose to include the CWT (Cut Work Table) range in our equipment and work tools sales division. We believe that the CWT outshines the rest in terms of build quality, usability and value. The table consists of bolted steel chassis with a 4mm toughened glass top which is then protected with 4 mm self-healing cutting mat. The principle and practice are simple. Mounted on top of the CWT’s glide-beam assembly, there is a full-width hardened rubber roller, and both have been engineered to be pushed by one hand when applying graphics, the roller is raised and lowered by air pressure that can be adjusted to suit the different substrates being used. Another useful feature of the CWT is that the premium range of the tables are equipped with low-voltage LED lighting mounted under the glass which and the illumination is exceptionally useful for the positioning of graphics onto the rigid substrate, this guide lighting also comes into its own when using the Table purely to mount and stretch canvas prints. A significant benefit in choosing to work with our CWT tables is the simplicity of installation, and the tables can be supplied in various sizes with a variety of options to meet our customers' precise requirements. The tables are supplied flat packed which not only means lower shipping costs but more importantly, over and above equipment that is supplied fully-assembled, our self-assembly tables are easier to adapt to the layout of your particular work space. Assembly only takes around 5-6 hours and our team of specialists are here to advise and troubleshoot if necessary. All in all, when speed, efficiency and precision matter, a CWT table is worth the investment. It's a big heavy item. Make sure you plan your layout well, as once installed (which is easy), its then not so easy to move somewhere other! 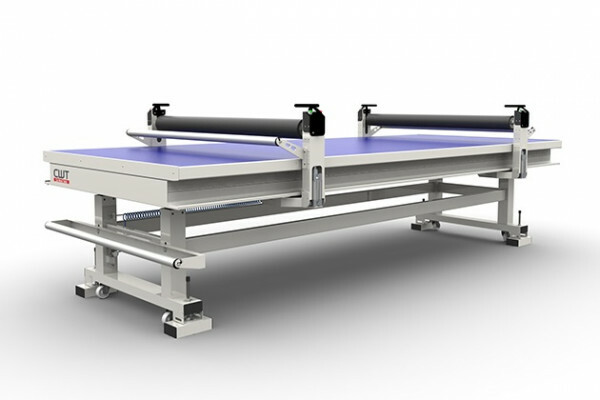 The time to produce on a manual basis is excessive in comparison with process offered by the new CWT worktable. Estimated reduction of the production time is up to 80–85%!